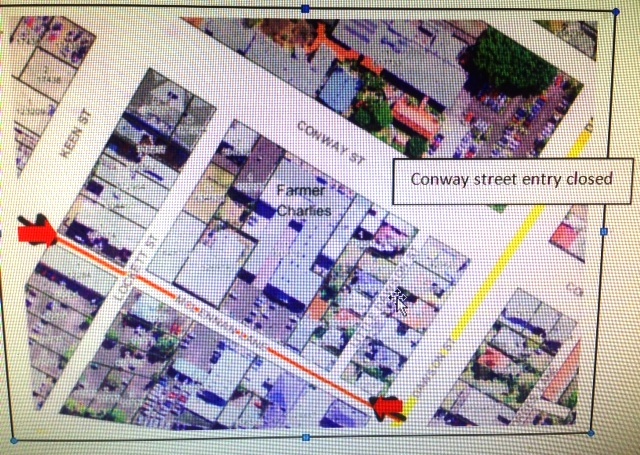 Dear valued customers just to let you know that during August 2016 the main entrance to the Farmer Charlies complex via Conway street will be closed. access will be via McLennan Lane. Thank-you in advance for your support during this process.